Do you like Camouflage-game from SmartGames? Have you already solved all the 48 challenges? Now you can get separate extra card box that contains one extra piece for the game and 60 new challenges! Attention! 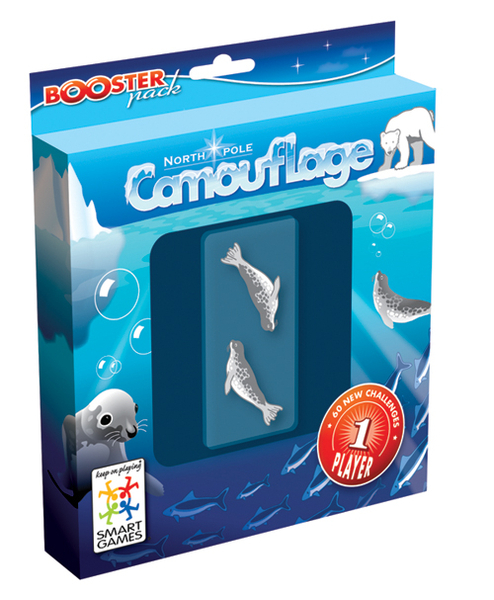 First you need Camouflage game by SmartGames!